Dr. Michelson is trained to provide braces in a virtually invisible fashion through Invisalign. 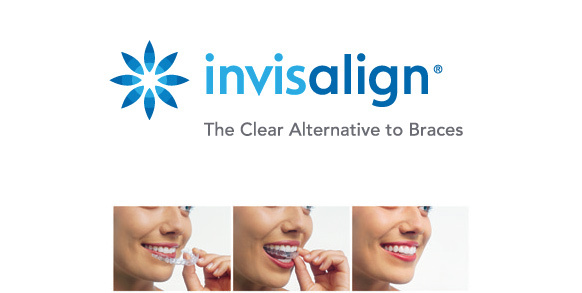 Invisalign is a way to achieve a straight, beautiful smile using clear aligners that are nearly invisible. If you have been told Invisalign is not for you before, please come in for a consultation. There has been a tremendous amount of advancements in clear aligner therapy and you may be surprised at the result. 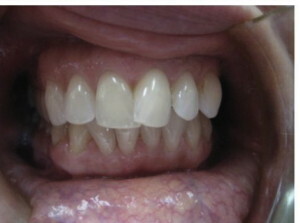 Here is a before and after of a patient who went through Invisalign with Dr. Michelson. 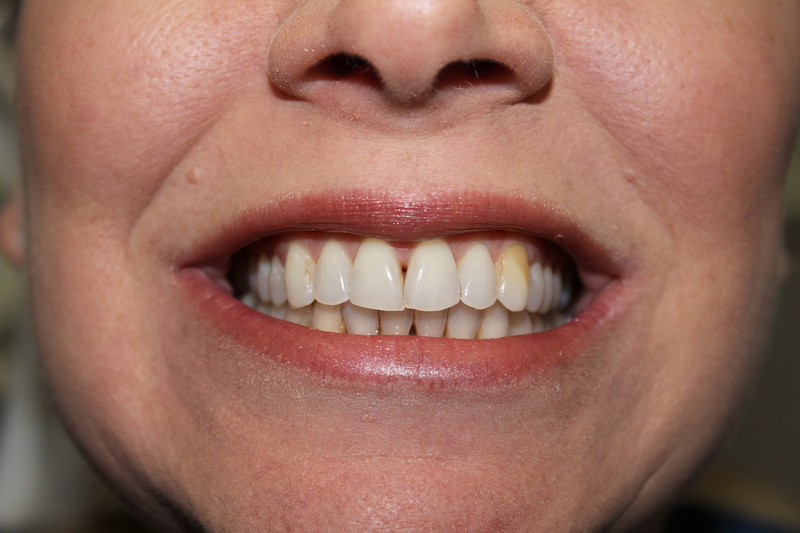 This patient was a 45 year old female who had dealt with a “crooked smile” her entire life. She could not believe that Invisalign could correct this. Her colleagues could not see the aligners when they were in! She was ecstatic with the outcome!